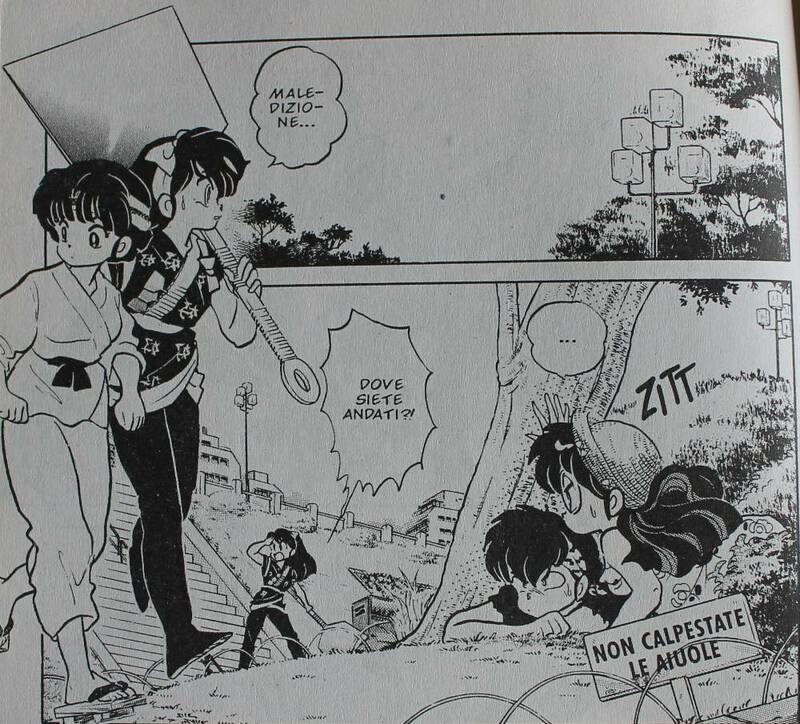 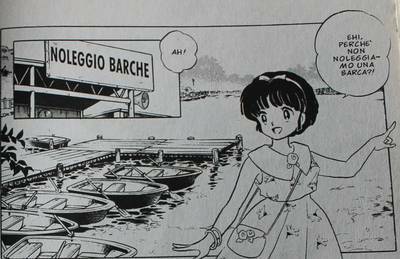 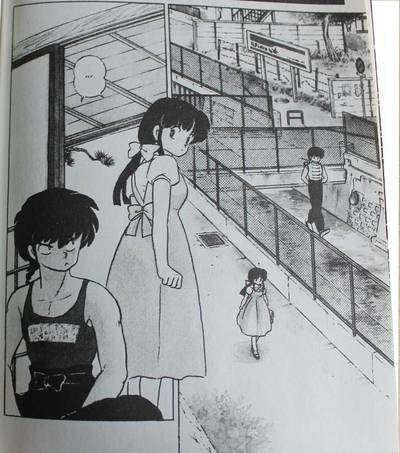 Ranma 1/2 is a series of 1987, one of the most famous of Rumiko Takahashi. 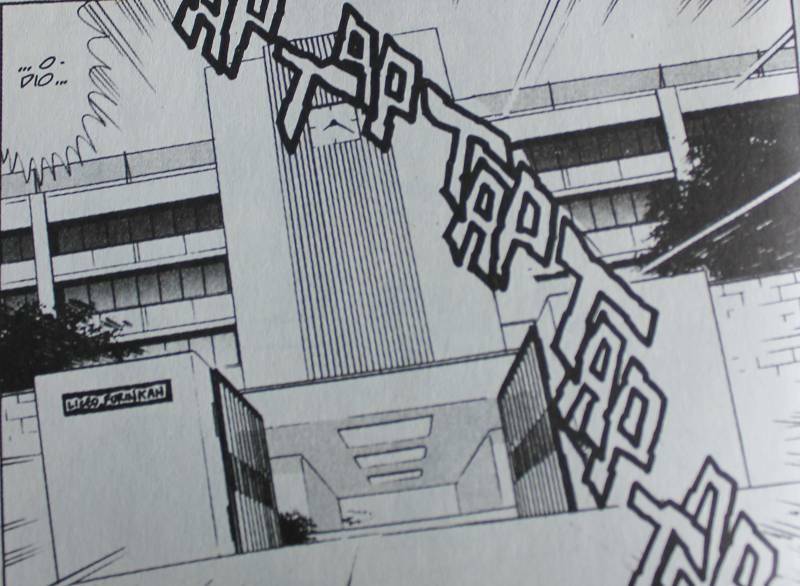 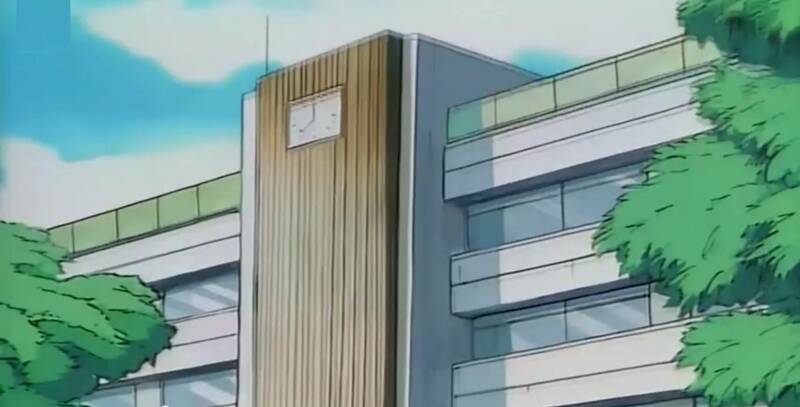 The series takes place mainly around a quiet residential neighborhood of Tokyo, where Tendo's house and Furinkan high-school are located. 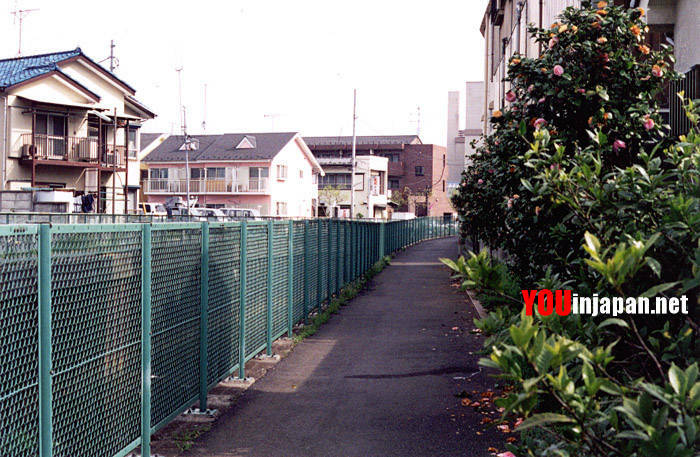 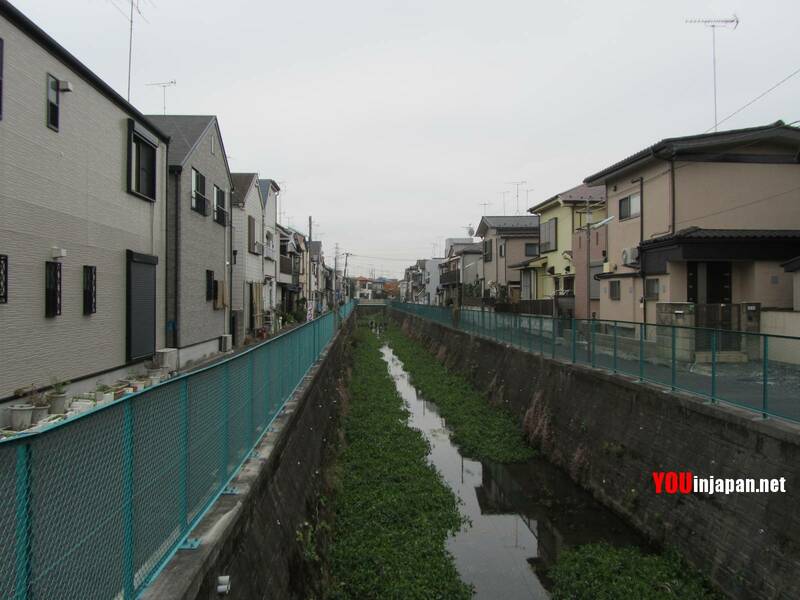 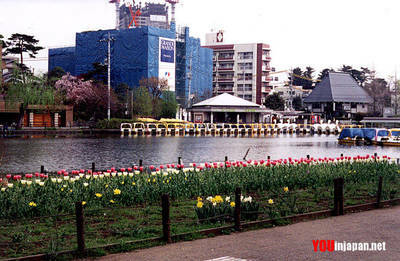 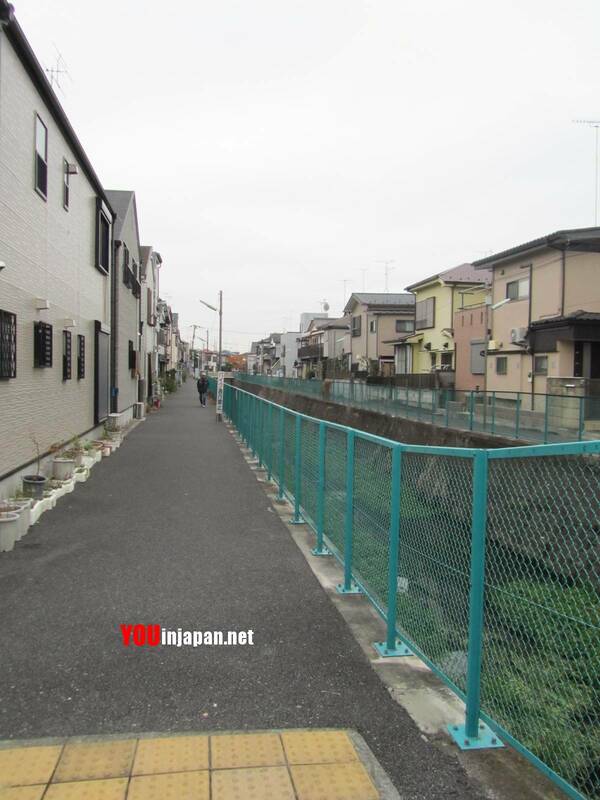 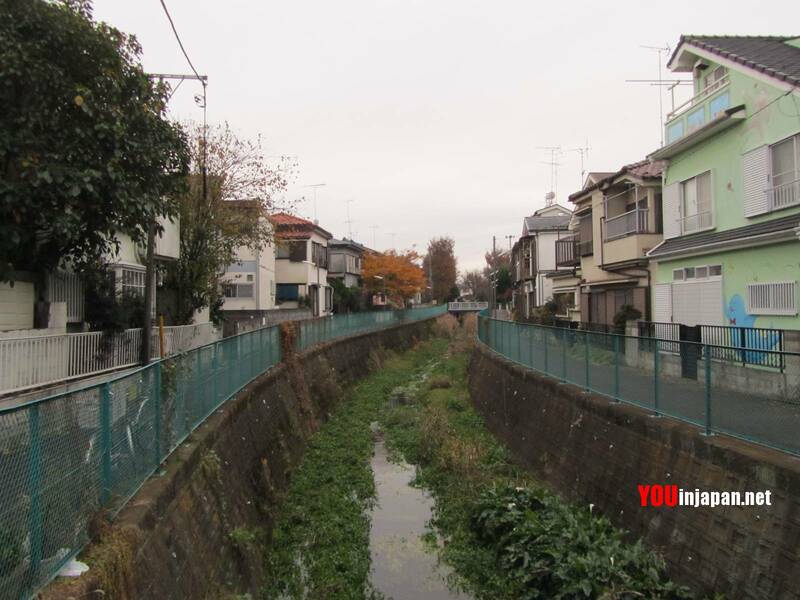 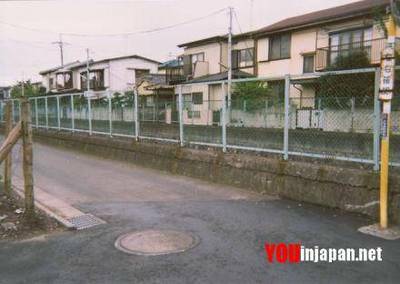 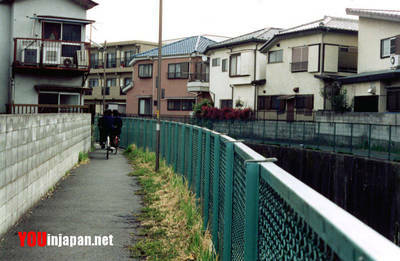 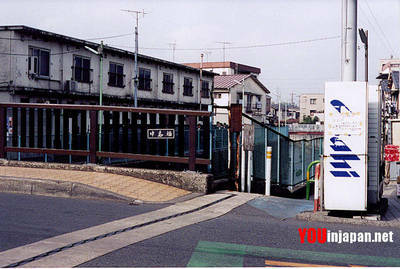 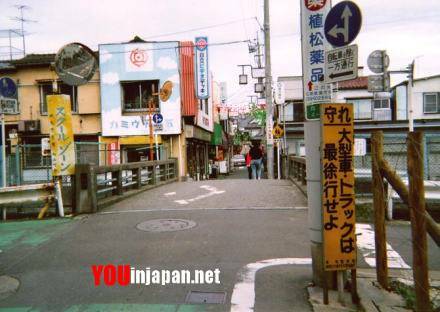 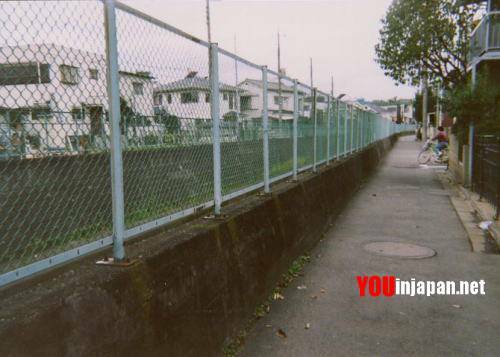 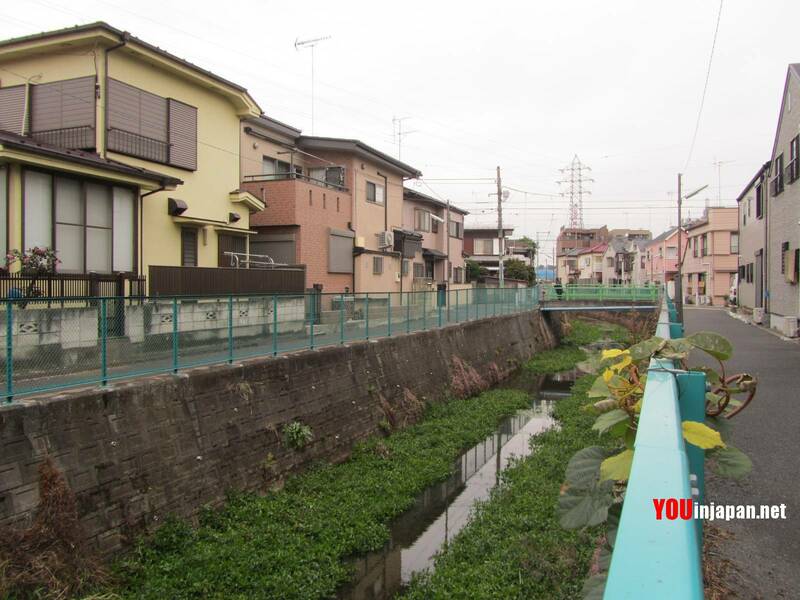 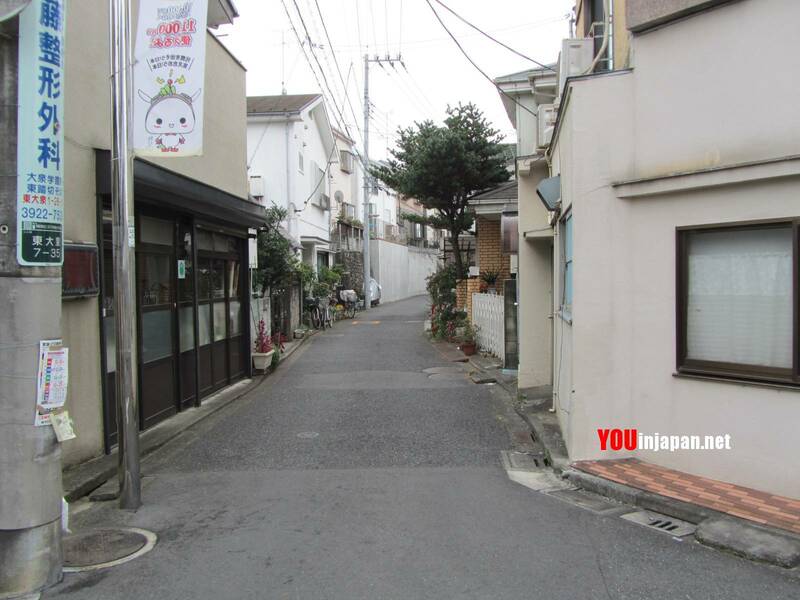 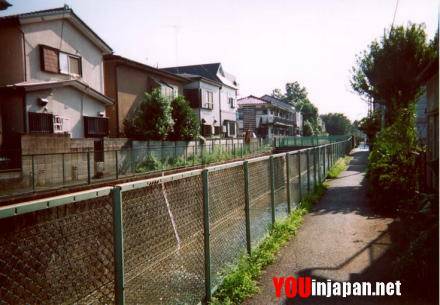 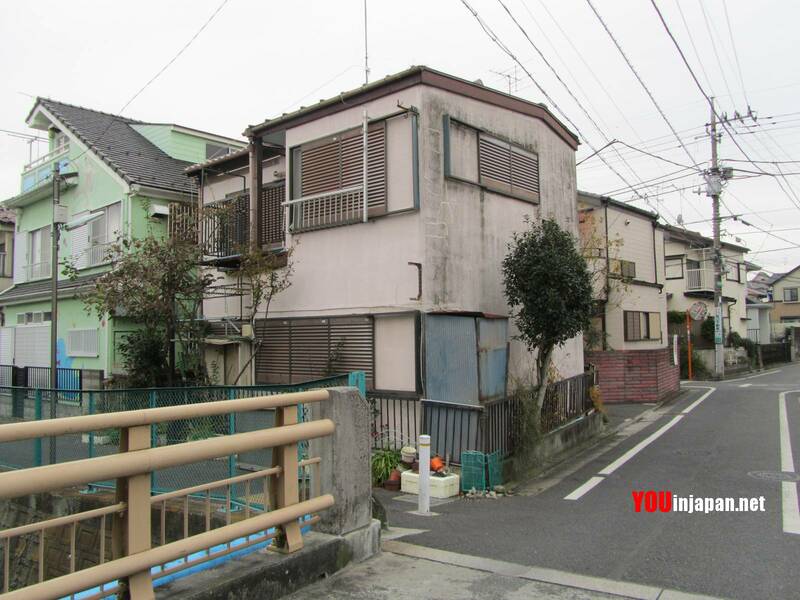 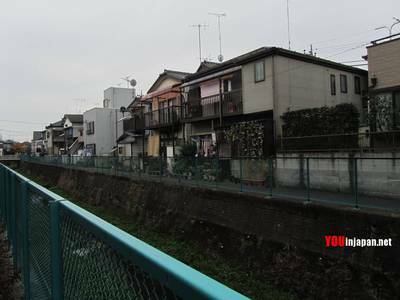 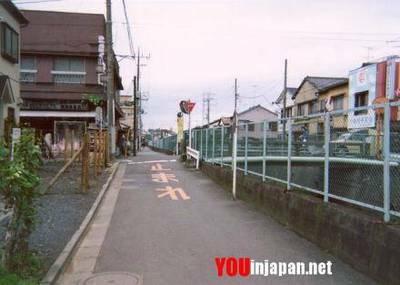 This quiet residential neighborhood is in the real world the big ward of Nerima, in north-western Tokyo. 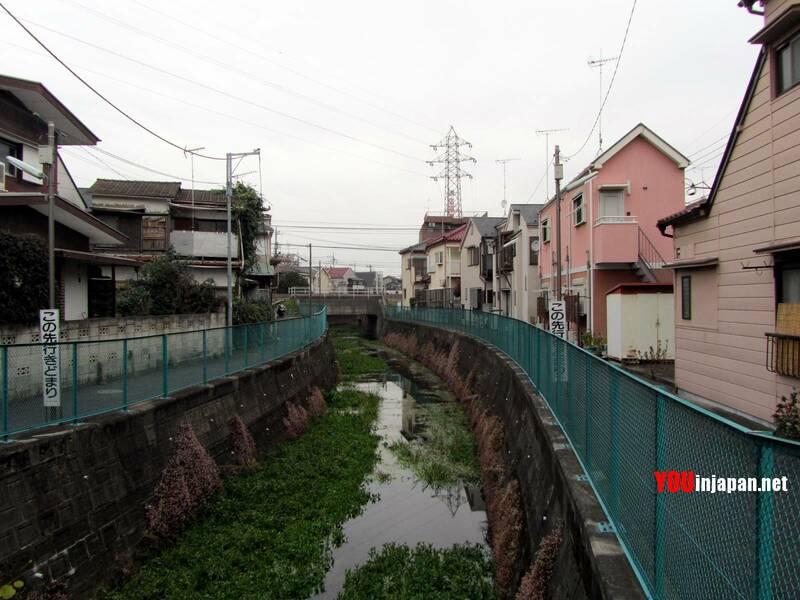 According to wikipedia, in the huge ward of Nerima there are 44 middle and high schools (and other 69 elementary schools). I have been in front of some schools near Oizumigakuen station, but I haven't found any similar or a bit similar to the school attended by Ranma and friends, however it is possible that it exists somewhere else. If someone is so crazy to "waste" a whole day (or maybe more) of his holidays in Japan going in front of all schools in Nerima, he may even find it! 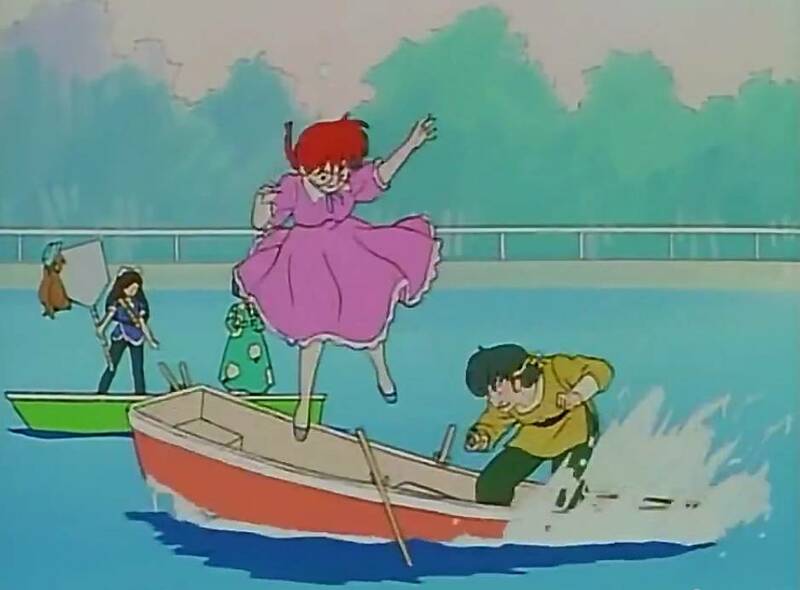 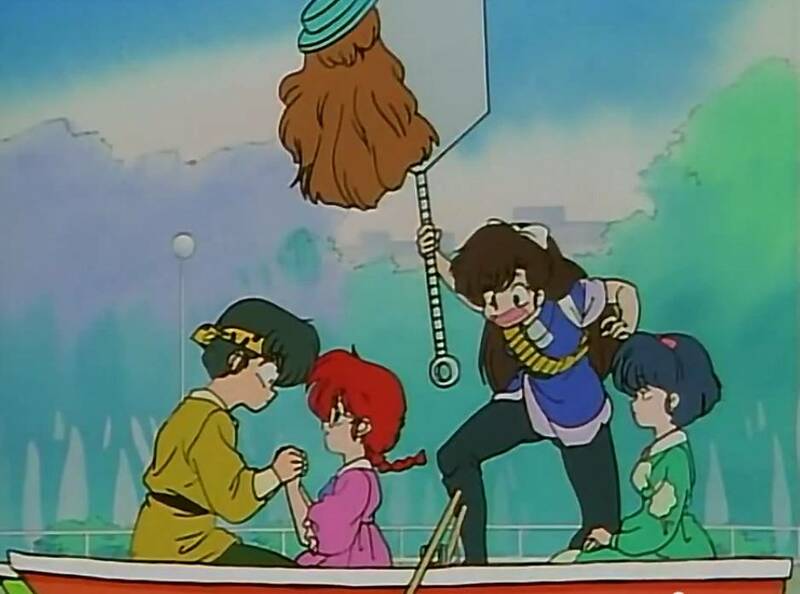 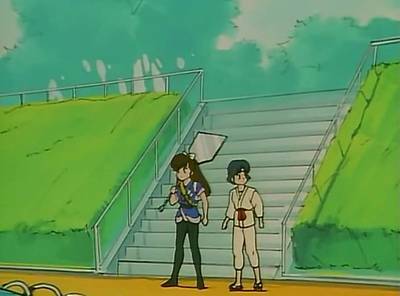 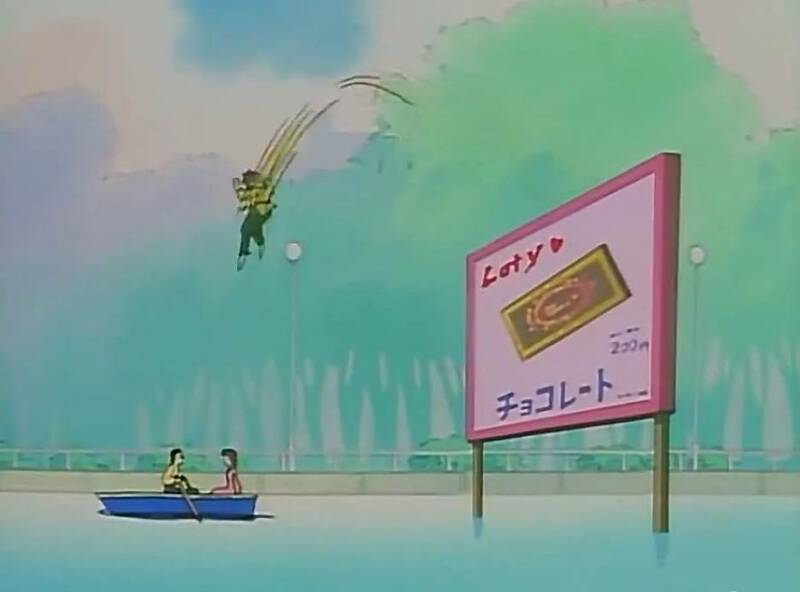 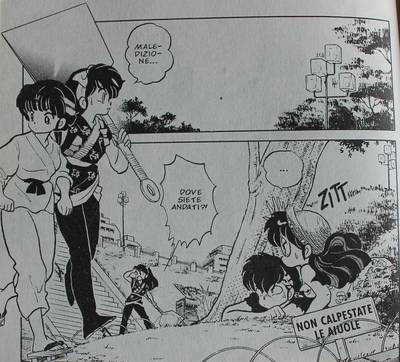 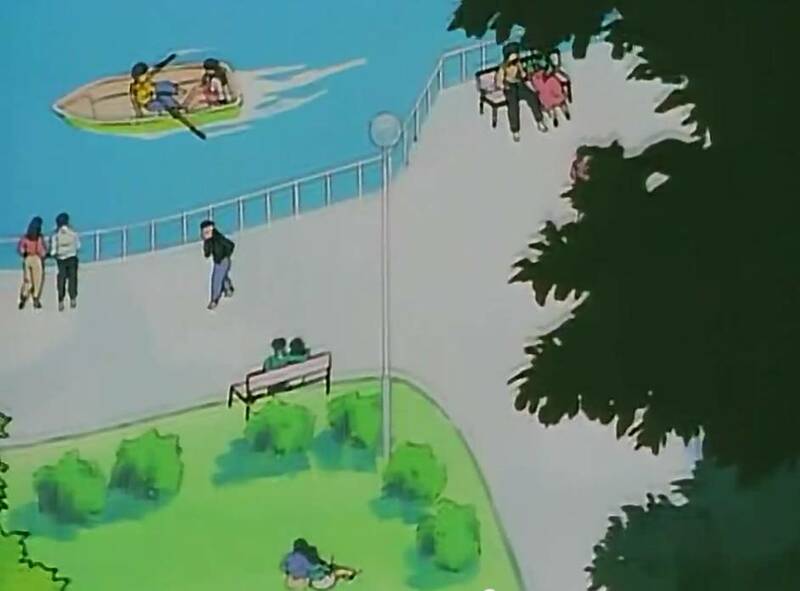 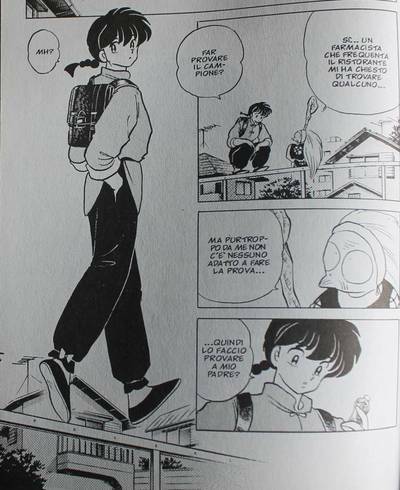 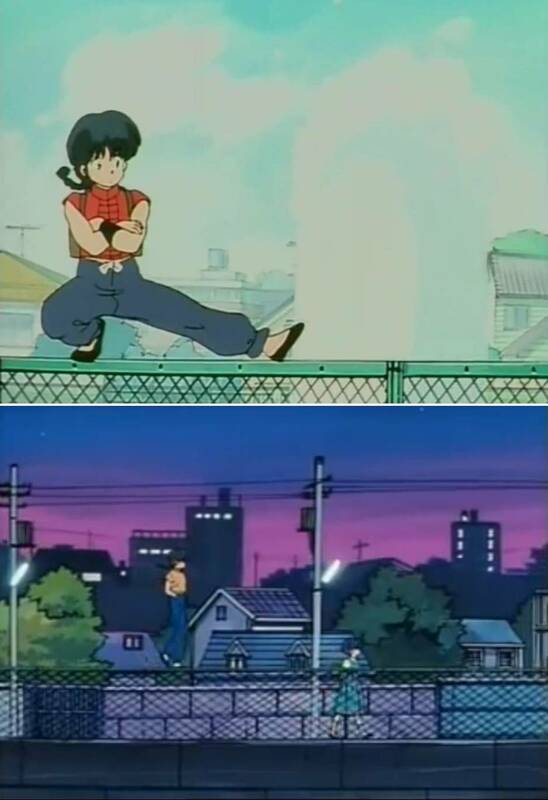 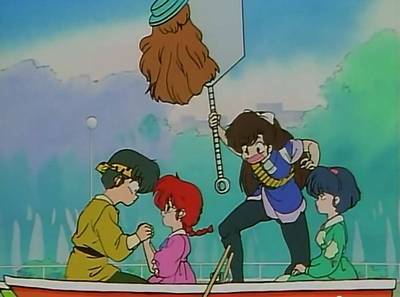 Ranma, Akane, and many other characters, often walk around an area characterized by a small river, beside which there is an high railing, where often Ranma walks in balance and where he often falls into the water turning into a girl. 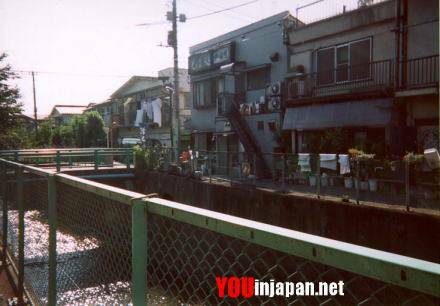 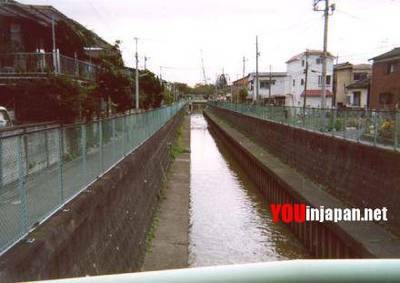 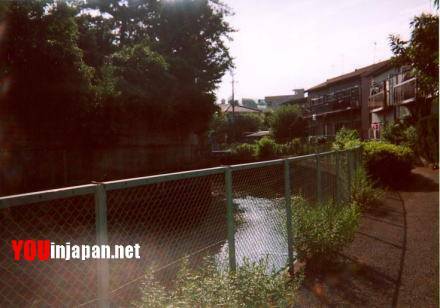 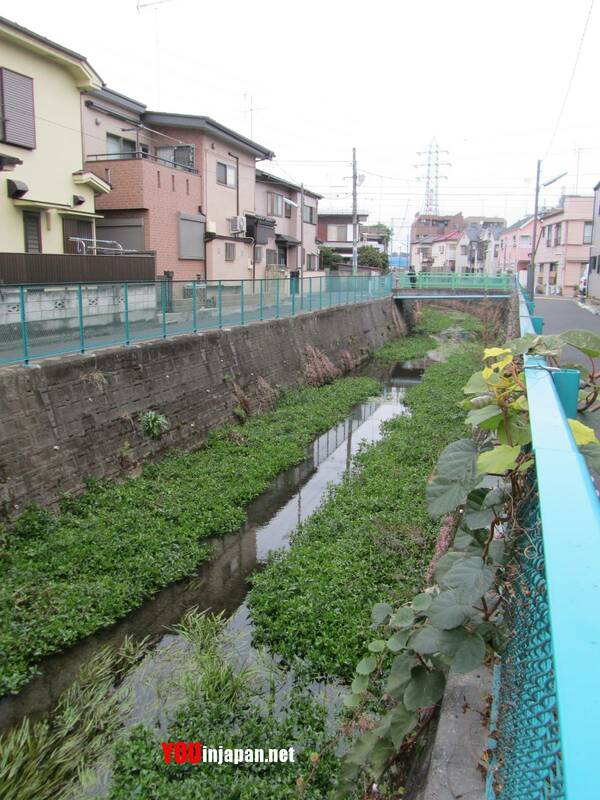 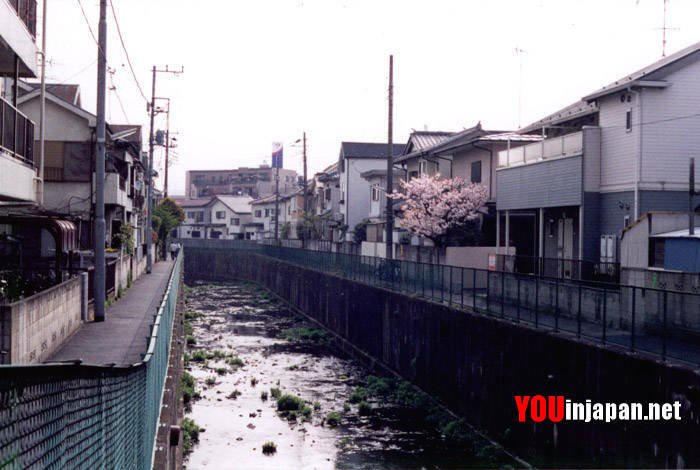 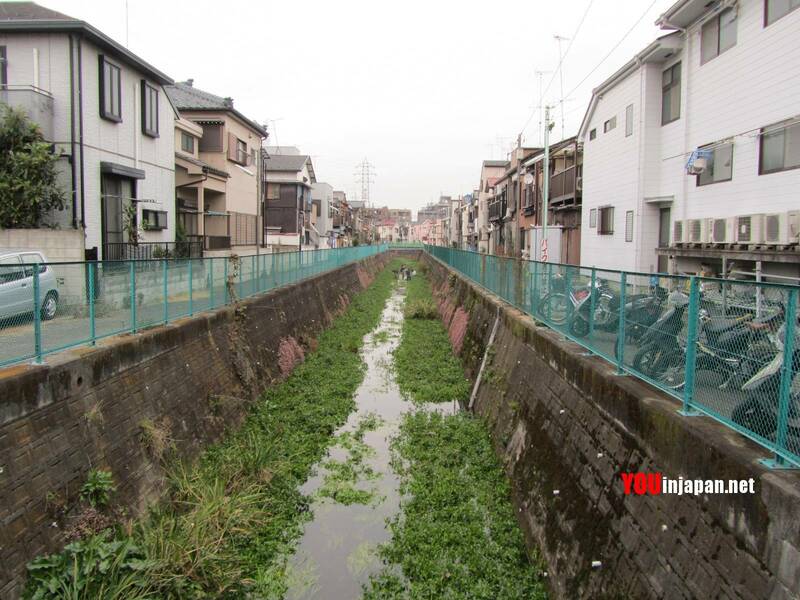 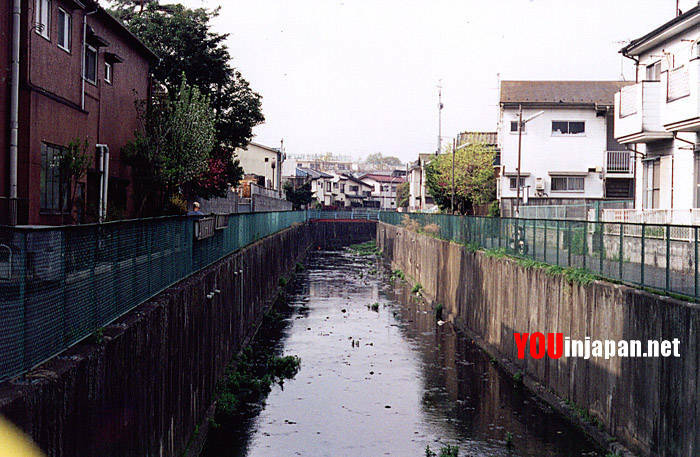 The river is called Shirako-gawa (白子川) and this area is located about 1 km west of Oizumigakuen station along the Seibu Ikebukuro line. 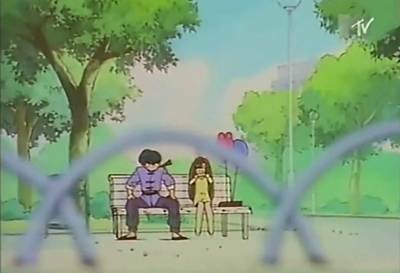 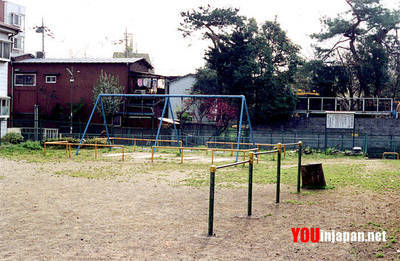 According to some japanese websites, this should be the park that inspired the authoress when she had to draw chapters of Ranma 1/2 set in a park. 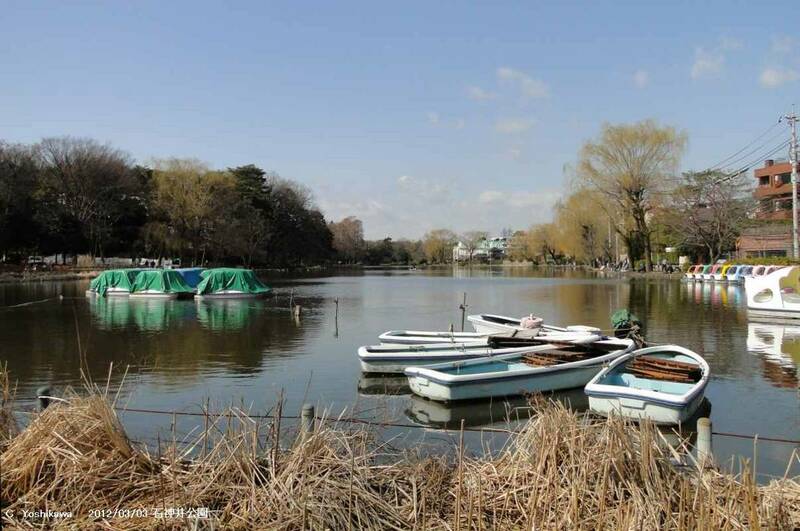 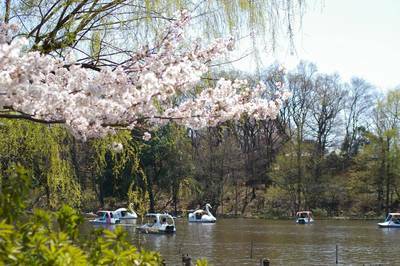 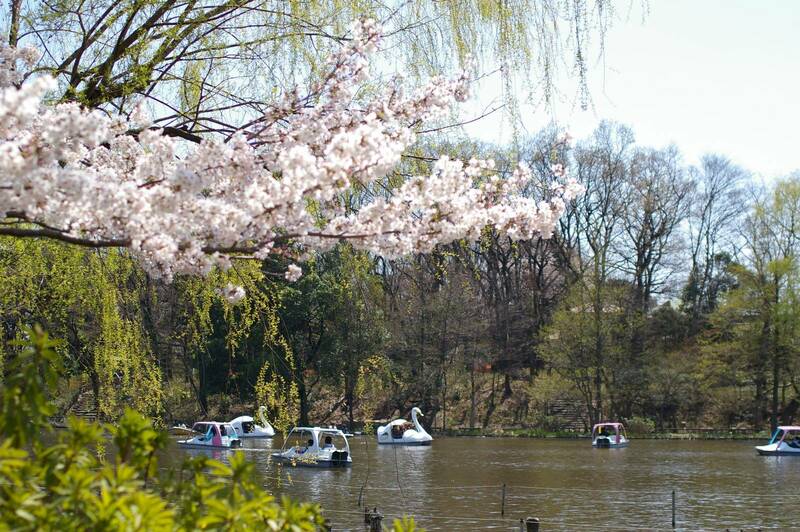 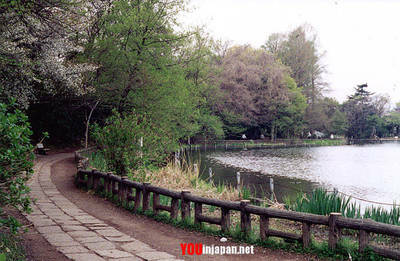 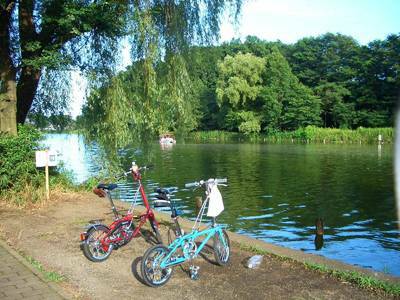 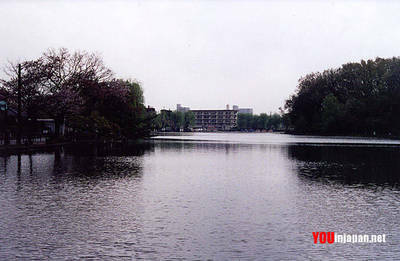 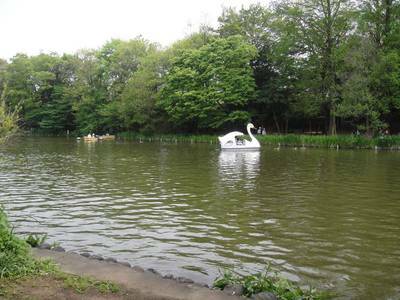 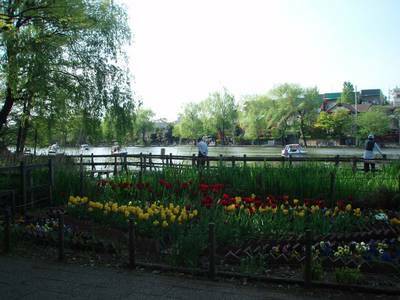 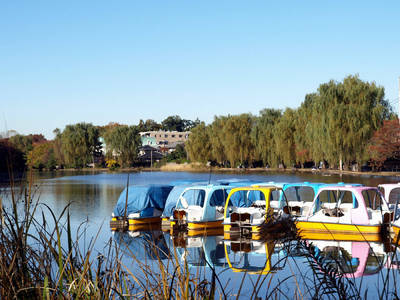 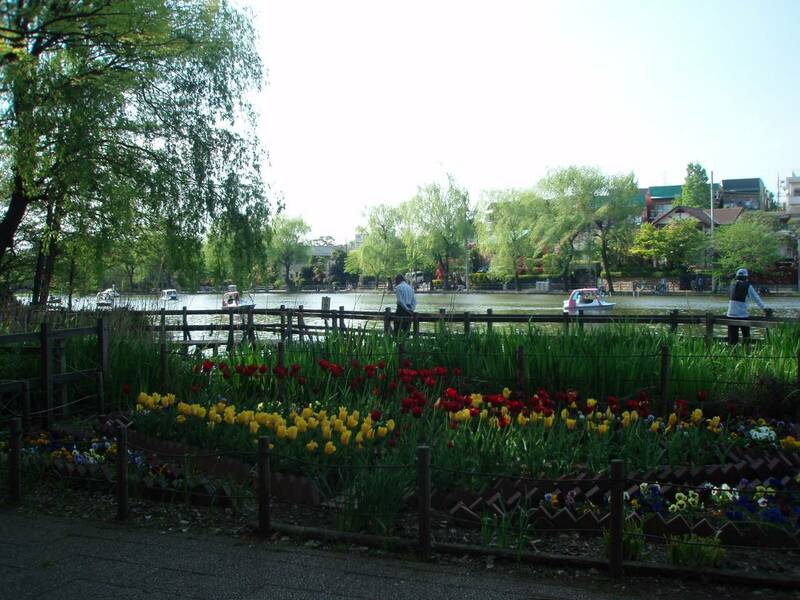 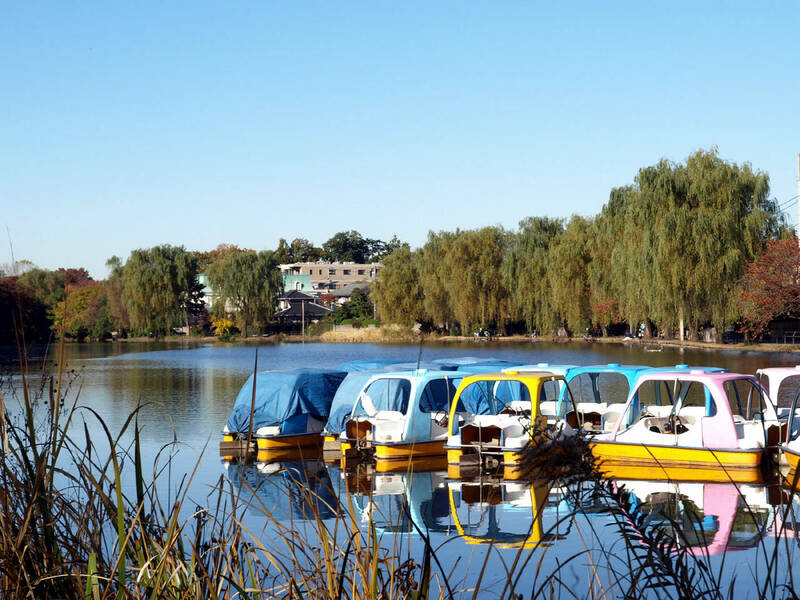 This park is little know to tourists but is very popular among the inhabitants of the city, it is the second largest park of Tokyo after the famous Ueno park. This park is also located not far from Oizumigakuen station, but the nearest station is Shakujikoen station, the previous station along the Seibu Ikebukuro line coming from Ikebukuro station.